» Climate change doubts? Burn ’em! Climate change doubts? Burn ’em! 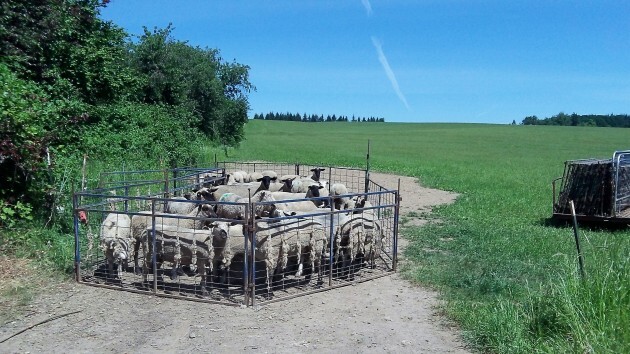 If some fanatics had their way, climate skeptics might end up being rounded up like these hapless sheep. Although no one mentioned this, it seems to me that the Portland schools now face a problem: What to do with books and other material doubting that mankind’s use of fossil fuels is mainly responsible for climate change. I suggest a solution in the spirit of the Portland School Board’s decision last week to ban such material from the schools: Have students pile up the offending books in a great big heap and set them on fire. Actually, it’s kind of surprising that school books still have not fallen completely into line. Yet, as one person complained to the Portland board, there are still too many books that use words like “may” and “might” to describe what fossil fuels are doing to the climate. And that allows for too much freedom of thought. Burning books used to be the approved method in totalitarian systems of getting rid of ideas running counter to the prevailing ideology. And presumably Portland school children, brought up in a system that would yield such a decision by a unanimous board, would be enthusiastic about putting to the torch the output of enemies of the state. Enemies of the state? Sure, that’s how some people in government and academia now regard anyone who questions the tenets of the global warming religion. There have been calls, isolated so far, to put climate change skeptics in jail. The attorney general of the United States has asked the FBI to investigate whether Exxon could be prosecuted for misleading the public about climate change. The attorney generals of New York, California and other states are suing the energy company. The attorney general of the U.S. Virgin Islands has served a subpoena on a non-profit organization keeping the climate debate alive. We are told that 97 percent of scientists think we’re to blame for global warming and we must do something to prevent a catastrophe. The 97 percent assertion has been debunked. But even if it were true, even if 100 percent of all scientists were on board with the theory as proven beyond any doubt, would that be a reason to shut up, shout down and even prosecute and possibly jail anyone who raised questions? You’d think that if the science were so convincing, it could stand on its own. Its supporters would not have to resort to prosecuting those who dare to have other ideas. Good grief. We still refer to the “theory of evolution” and the “theory of relativity.” Why not the “theory of climate change?” I’d think an open-minded society would permit free thought. But then again, we ARE talking about Portland, aren’t we? Hapless sheep? Looks like they have it pretty good, free rides to free food and water, free medical care – all they have to do is get a haircut once or twice a year and even that is cost free to them. Sound familiar? When I read this yesterday, I just knew some heads would explode. Manipulation in learning? Social engineering via education? But I ask what is the difference between this & public school districts pushing religion? Just look to he Cons in our neighboring state. Good thing you’re not publishing this in say, Ashland or someplace with mono-think. What, exactly, do they mean by “abandon” ? The link near the top to portlandtribune.com is pretty good. Let’s just call them Climate Nazis. Proof that if you keep your mind open too much your brains will fall out. As a septuagenarian, this report, and all it signifies, makes me want to cry for the future of my descendants. All the things we were warned about when I was growing up that would bring down our society are coming true. They aren’t saying they are going to burn the books. Simply creating policy that allows for teaching of science in a science class. Similar to how we don’t teach creationism in school, it is simply not science. I understand this blog skews towards an older crowd but I still don’t think that is any excuse to selfishly ignore problems that future generations will have to deal with. I understand it is difficult to admit you are wrong but sometimes the difficult decisions are the moral decisions. No reason at all… However, presuming your “even if it were true…” admonition, what do you believe would be a fair amount of “press” in schoolbooks to proselytize the opposing view in view of the above? A matching %? Yes, this faddish concern is only faddish until it impacts one’s own world. Then it becomes real. Take the GOP’s presidential candidate for the fall election. I present you Donald J. Trump’s own words. Just who is to say that the oceans are at the “correct” height? Maybe they are finally getting back to where they should be. And where did you get that stunning analysis? A box of cereal? Try science instead of wishful thinking. At least science is based of testable facts. HH, do you also think that ocean acidification is a hoax?